3. Old water that has been left in the bowl for too long may also cause the problem. 4. IBS is another cause of sickness - also known as Irritable Bowel Syndrome or (Irritable Bowel Disorder) - this is also seen in humans with the same symptoms. 5. If your dog suddenly becomes ill after going for a walk he may have eaten a poisonous mushroom or even some Rat poison. If you think that this is the case take him to the vet immediately. 6. Gland problems can cause sickness too - this is referred to as hypoadrenocorticism. 7. Fungal problems can also make your dog ill especially Aspergillosis or Histoplasmosis. 8. Pancreatitis is another reason your dog becomes sick and vomits. 9. Has your dog developed Hookworm, Whipworm or even Roundworm as these parasites can infect your dog's body and may throw him up. 10. Bacterial infections can lead to sickness including the bacteria Salmonella. 12. Kidney disease also causes the problem. 14. Kennel cough is another cause. 15. Scabies also known as mange can lead to illness. 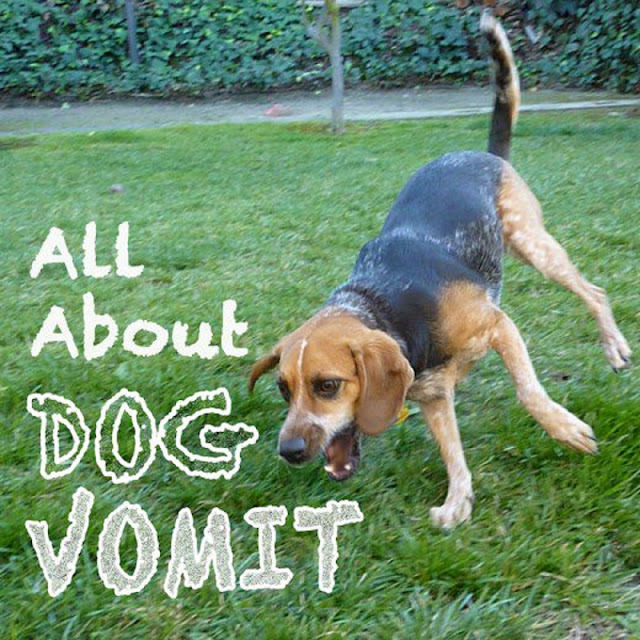 As you can see, the cause of dog vomiting can vary from quite serious conditions to some that may not be considered so serious. However, if you have any worries take your dog to the vet as soon as you see any sudden changes in your dog - as it may save his life if the disease is progressive.